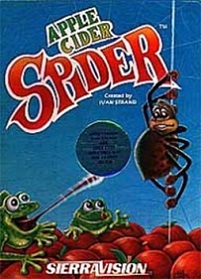 Apple Cider Spider Cider. The idea to use a beverage to promote a game came from John Williams who admitted it was the most ill conceived promo item Sierra ever did. Considering it was made in 1981, the bottle is best left closed. Picture courtesy of Dale Carlson.